For the James Bond of kitchen interiors, give your cabinets a two-tone finish. Iconic and timeless, this design winner dates all the way back to the Fifties. Whilst contrast is the end goal, the trick to making this trend work is to keep either the top or the bottom a neutral colour. If you’re struggling for a combo that works, then simply focus on varying the tonality of a single colour! High-sheen finishes are currently dominating Pinterest boards, with stainless steel covering everything from shelving to surfaces. Mirrored metals are best placed in smaller kitchens as they bounce light around the room and improve the sense of space. Offset the shine with a dark matte colour and, for natural warmth, a reclaimed wooden table. A modern twist on a traditional craft, basket-weave pendants will light up your kitchen with a warm and welcoming atmosphere. These chic shades break up hard angles and are best placed in threes over an island. If you’re a dab hand at DIY, hunt through a junk shop for a lobster trap, give it a lick of paint and voila! Keep calm and remove your quote artwork. Born out of the millennial meme generation, the world has gone mad with these motifs! 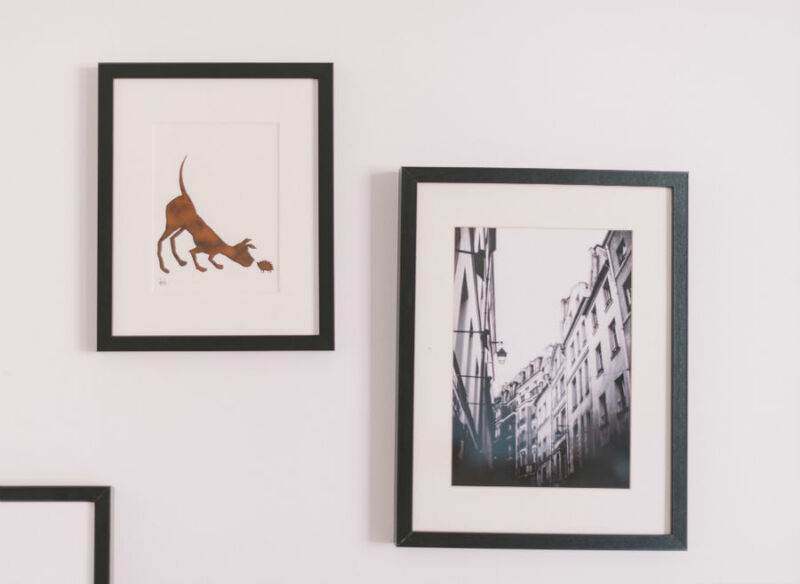 Instead of phrases in a can, gather together your most treasured objects and display your personality by creating a gallery wall. Symmetrical, patterned or freestyle are all good placement approaches. Tarnished by cheap imitations, copper has lost it’s charm. Whilst we still have a soft spot for last years metal of the moment, 2016 did go a little overboard with this trend. Rather than going all out for just one type of metallic finish, mix and match! Soften a copper light fixture with mirrored surfaces or else opt for oil-rubbed brass accents as an alternative. We get it. The classic beauty of marble can be tough to resist. Be warned though, if you want to keep your kitchen looking pristine, marble is high maintenance. Compared to other materials, it’s softer, more porous, and prone to nicks and discolouration. Even a halved lemon can leave an ugly mark, we dread to think the damage from a spilt glass of red.